Is LSU Football In Danger of Disappearing? Louisiana State University is an NCAA football powerhouse. The Tigers are three-time national champions and are always a contender on the gridiron. But football program’s days might be numbered. The state of Louisiana is facing a $940 million deficit. Lawmakers need to find a way to balance the budget before the end of the state’s fiscal year, which is June 30. Governor John Bel Edwards has proposed a series of tax increases to help bring in new revenue. But other lawmakers are firmly opposed to new taxes. So that pushed Edwards to make a radical threat: He’ll cut LSU football. 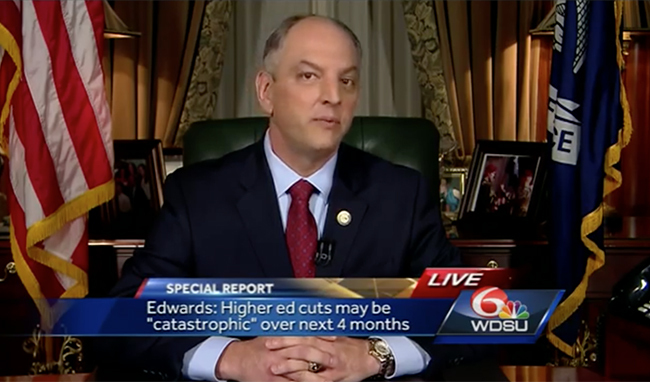 On February 12, Governor Edwards spoke to the state about the budget crisis and proposed a series of ways to fix the problem. One of those was to reduce education funding. Because LSU is a state university, it relies on the state for funding. If the governor and other lawmakers can’t balance the budget before June 30, there will be massive budget cuts across the whole Louisiana public school system. That includes LSU. This puts all students and teachers at risk. 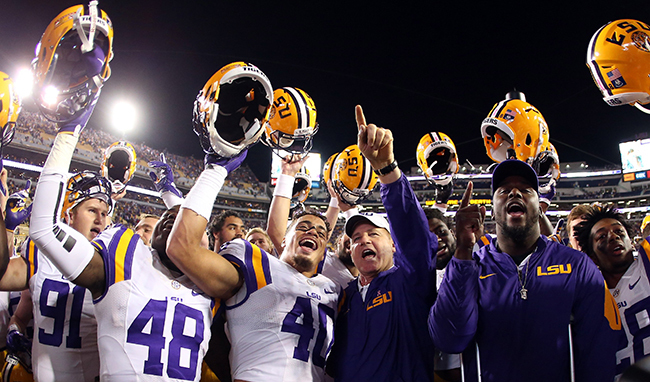 LSU’s athletic programs — especially football — are booming. But NCAA rules don’t allow students to participate in sports without a complete grade. So, if teachers are laid off and classes are canceled, many students would have incomplete grades and would therefore be ineligible to participate in sports. Some argue that the governor is using this as a scare tactic. He may very well be. What better way to get people’s attention to a major budget crisis than by threatening Tigers football? The question more people are asking, though, is: Can the governor really do this? LSU is a state college, so, yeah, he can. He can cut funding from the university to help balance the budget. That would lead to layoffs. And layoffs would obviously affect the whole university, especially athletics. The governor actually has already taken action. As of now, all TOPS payments are canceled. (TOPS is a program which offers scholarships to students who do well in high school.) More than half of LSU students rely on TOPS to help them pay for school. Naturally, students at LSU and other Louisiana state universities panicked after the announcement. But LSU football is different, right? The program generates a lot of money for the school — about $68 million in revenue, in fact. That doesn’t mean the school can get around NCAA rules. If LSU is unable to continue a significant amount of classes, students will be unable to meet academic requirements, which will shut down the LSU football program. So, while scholarship students are worried about earning a degree, athletes are worried they’ll lose a year of playing time. Louisiana is in a difficult position. And they have some very difficult choices to make — not only about funding state schools but keeping the state running for every citizen. But, personally, I don’t believe LSU football or classes will be shut down. It’s a huge college with about 30,000 students, and I doubt the Louisiana state legislature is willing to inflict significant harm on such a booming community. But like so much in America, it all comes down to politics. If the governor’s tax raise plans are accepted, LSU football should continue as normal. If they’re rejected… We’ll just need to wait and see. That’s an outcome too scary to think about.